Coming close to securing MX2 class victory on more than one occasions this season, Rockstar Energy Husqvarna Factory Racing’s Thomas Covington has secured a deserved overall victory at the GP of Turkey. Earning his eighth podium result in 2018, Thomas Kjer-Olsen finished third overall in Afyonkarahisar. With the fast track suiting Covington well the FC 250 powered rider was a force to be reckoned with throughout the weekend in Turkey. Getting the holeshot in moto one, the American put the hammer down to secure victory in the opening moto in style. Claiming another holeshot in moto two, Thomas held the moto lead until a small mistake with two minutes left on the clock. Picking himself up, he crossed the line in third place to secure his first MX2 class overall victory for the season. Two solid moto performances in Turkey handed Thomas Kjer-Olsen his eighth podium result for the season. Fifth in the opening moto, the Rockstar Energy Husqvarna Factory Racing rider came back stronger to secure a runner-up result in the final MX2 moto. Collecting valuable points in Turkey, Kjer-Olsen further reinforced his strong third position in the MX2 World Championship standings with two rounds to go. In the MXGP category, Gautier Paulin wrapped up a tough GP with a solid fourth overall in the class. Eighth in the opening moto, the Frenchman took full advantage of his improved start in moto two to cross the line in fourth position. 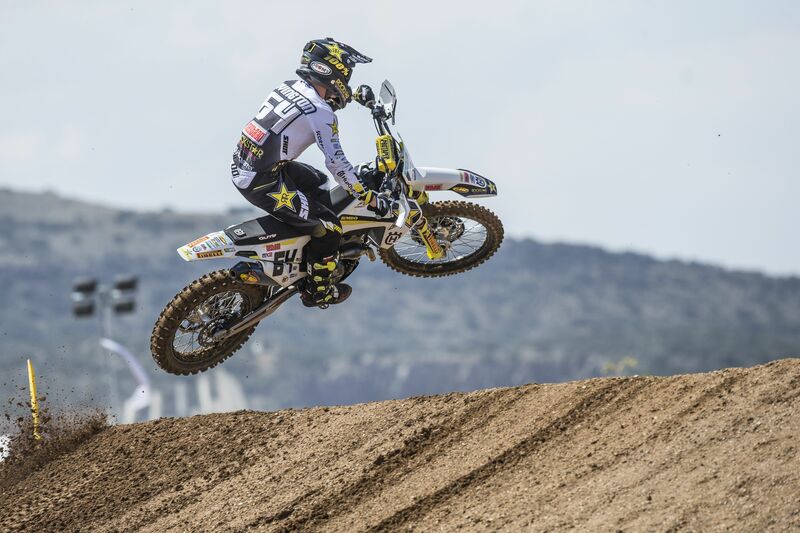 Suffering mistakes in each of the two final motos, Rockstar Energy Husqvarna Factory Racing’s Max Anstie secured 11-16 results for 15th overall at the GP of Turkey. The Rockstar Energy Husqvarna Factory Racing team will return to action at the penultimate round of the 2018 FIM Motocross World Championship in The Netherlands on September 15/16.